We know that hot water is critical to your business or rental property’s daily function. Commercial water heaters in Buffalo, NY need to be serviced and maintained often to ensure they are running at peak efficiency. As large BTU-consuming appliances, small changes in combustion efficiency can translate to significant savings and impact on your cash flow. 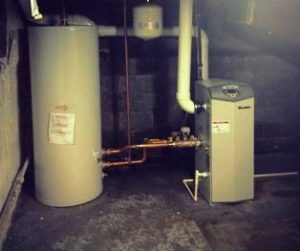 Whether you are utilizing a traditional tank-style water heater, a water heating boiler with a storage tank, a commercial tankless on-demand water heater, or an indirect hot water heater utilizing the heat produced by your building’s space heating boiler, we have extensive knowledge to ensure your system is dependable during high-demand time periods — and we’ll help you reduce your overall operating costs. Call us today at 55T-MARK to see how we can help keep your business or rental property running smoothly.